Undergraduate Research Conference This Friday! Visit our website for a full conference schedule! 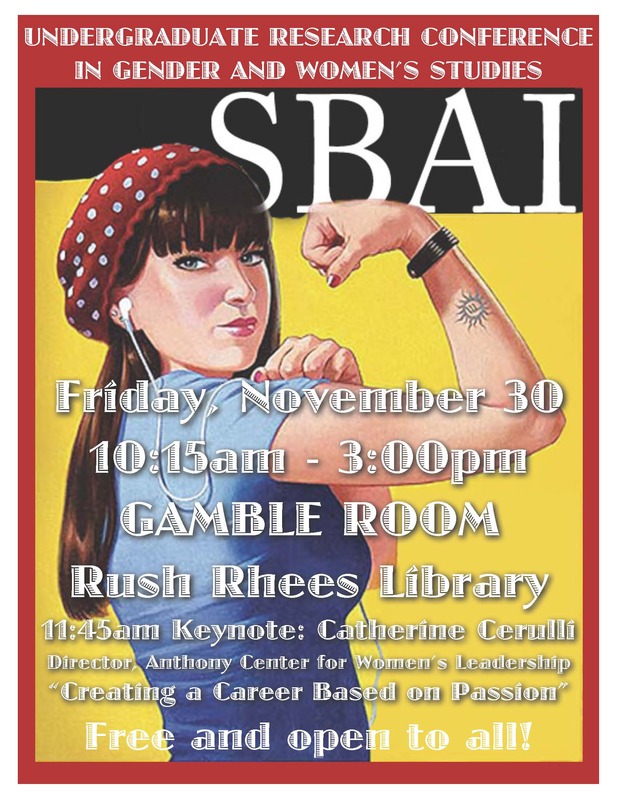 This entry was posted in SBAI Events and tagged #conference, #gender, #research, #undergraduate, #women'sstudies. Bookmark the permalink.